Heritage Paint and Decorating Centers was established in 1985. 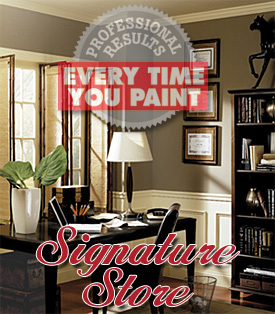 Heritage Paint is a Benjamin Moore Paint "Signature Store" serving both the retail and wholesale markets in Houston, Texas and surrounding areas. Heritage Paint and Decorating Centers has a combined experience of over 150 years in the Houston Metro and surrounding areas. No Job is too large or too small. Whether you need 3 gallons for your living room or 1000 gallons for a large commercial job; Heritage Paint can get it done.